A good learning management system (LMS) will enable the organisation of training by subject matter or other criteria. 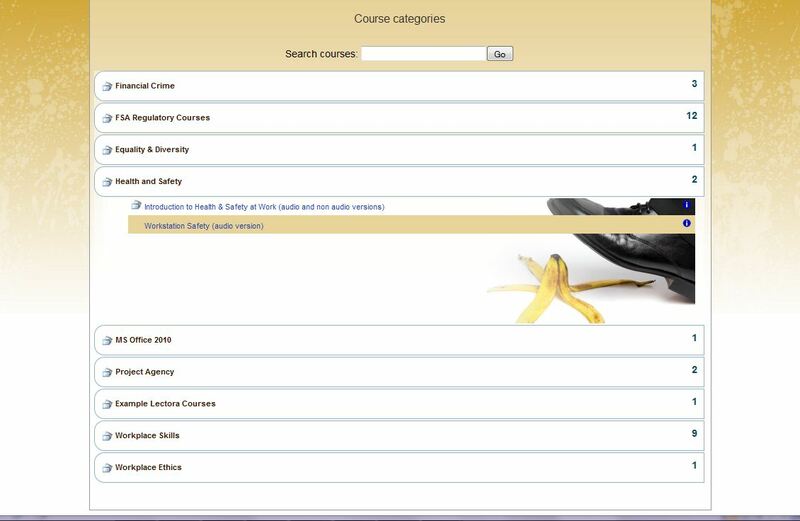 Traineasy LMS allows you to create as many course categories and sub categories as you wish. A unique catalogue interface then enables learners to browse, opening and closing categories ‘on click’ to reveal the list of courses within. Summary information is also accessible with a single click, and – if you want to allow it – the learner can self enrol. Each category can have its own photographic image, further enriching the LMS and making it an exciting and engaging place to be. Call now on 01908 508777 or email enquiries@traineasy.com for more information or a free demonstration.